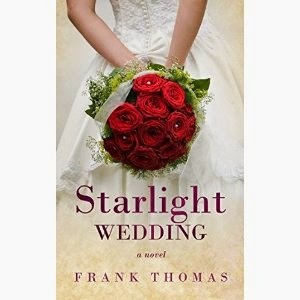 Frank Thomas' "Starlight Wedding" is the story of one woman's dramatic search for love. The protagonist, Amanda Jones, a wedding shop owner, has been obsessed with her wedding since she was a child. Everything seems perfect leading up to her wedding, even down to the date, which coincides with the Starlight Comet ... until her groom walks out on her. Encouraged by her friend, Margot, Amanda embarks on a journey to find the perfect husband to marry her on her planned wedding day, the day the Starlight Comet arrives. Frank Thomas writes in a way that captures the emotion and drama of Amanda's search while still keeping the book light-spirited. There is plenty of witty humor to keep you laughing as the plot kicks into gear. If you're looking for a fun romantic read that'll make you laugh and root for the main character, "Starlight Wedding" is a book worth checking out.